Are you a single pawrent looking for love? Looking to meet another dog lover? 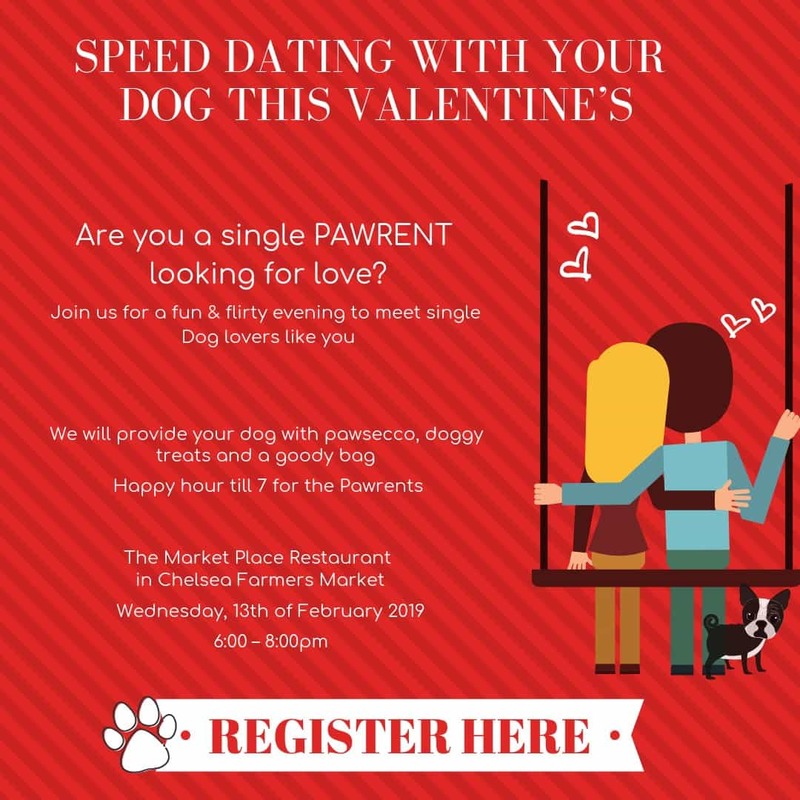 Come along to Pet Pavillion’s first ever Speed Dating with your Dog event on Wednesday 13th Feb at the Market Place Restaurant in Chelsea Farmers Market! There will be a Happy Hour until 7pm for the Dog Pawrents and dogs will be provided with pawsecco, doggy treats and a goody bag. Love will definitely be in the air! Register for Pet Pavillion’s Speed Dating With Your Dog here.